Near Perfection in a Rural off-grid setting. 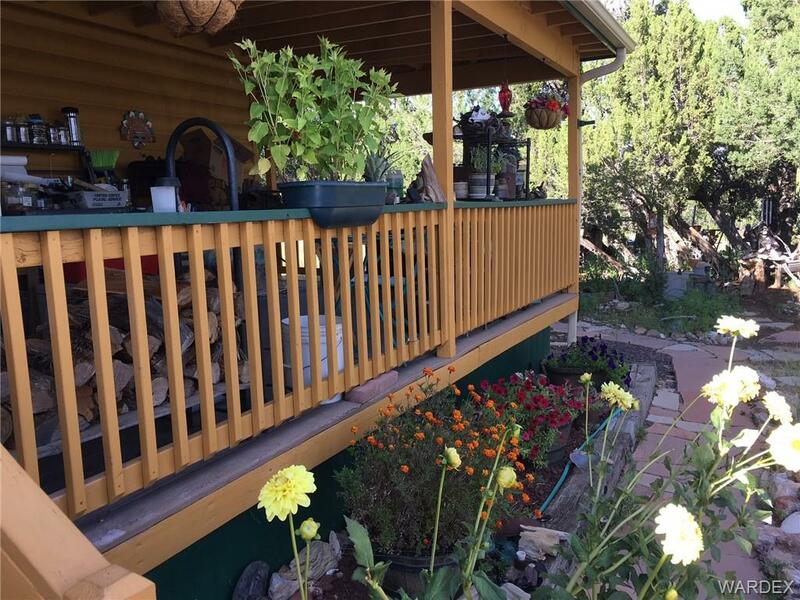 Fully fenced 36.11 acre property with a beautiful 3 bedroom 2 bath home, with 3 sides wrapped by an inviting covered porch, a finished garage with attached storage/workshop; and several other buildings, including a guest cottage or art studio. The systems for this home are all in enclosed covered well-constructed buildings. This off grid home has PLENTY of electrical generation with its professionally installed system and LOTS of water storage in the insulated building. Seeing is believing it is a well put together property! Starting with the driveway approach to the property winding thru the trees, arriving at a stunningly inviting wrap-around porch with inviting seating literally all around the home, garage, garden and walking paths, this property has the 'love lives here' feeling. This property shows the care that was put into it, to create everything it is. The property is fully fenced, with 3 gated entry/exits, and is ready for your animals to run and roam the 36 acres of beautiful rolling grassland and trees. You can see and feel the Seller's personality in the little areas around the house funky and fun is what I feel! The living room is open to the very large kitchen with island on this split floor plan. There is a bonus room on the covered porch; a fully screened in AZ room which is very inviting. The only blemish I have been able to find is in the carpet in the living room, which is easily changed out to tile, new carpet, or wood flooring, then the handyman can go home as nothing else is needed! Bring the animals, horses, goats, cows, chickens etc. this place is ready for them! Access-Unpaved Road, Horses Allowed, Irregular, Rd Maintained-Private, Res. Ag.